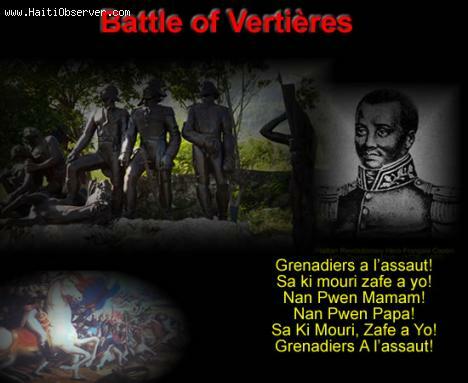 Here is a picture to summarize the Final Battle that gave Haiti its independence. The Battle of Vertieres was fought in the hills near the strategic city of Cap-Francais, now known as Cap-Haitian. This battle took place in Vertières and involves a troop commanded by General Rochambeau for the French and General Jean-Jacques Dessalines, leader of the slave rebellion.